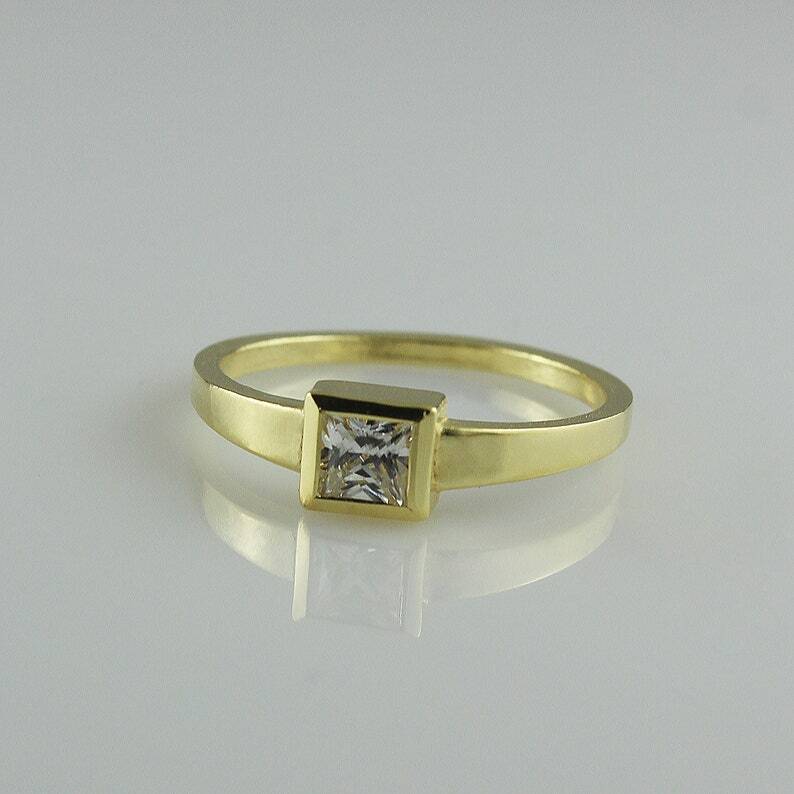 14k / 18k solid yellow gold engagement ring for women, with a stunning square natural and conflict free solitaire diamond. Great choice for a unique engagement band! Fabulous 14k / 18k solid yellow gold and a stunning square natural and conflict free solitaire diamond ring for women. The shape of the stone is square which makes it even more unique as an engagement band for your special someone. The diamond is nestled in a solid 14k yellow gold nest, keeping it safe from harm for years to come. ♦ Square Diamond 2.5 mm X 2.5mm / 0.098" X 0.098".